Goniopora coral polyps. 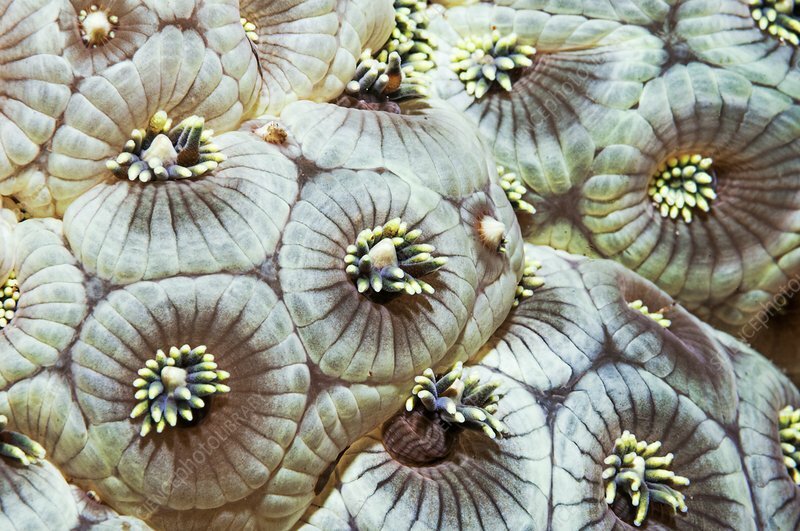 Close-up of partially retracted Goniopora coral polyps. Photographed in Lembeh Strait, North Sulawesi, Indonesia.